Ubuntu's latest version, that is, 12.10 (Quantal Quetzal) was released last week. With brand new features and updated applications, this release was an important milestone for Canonical. New features included an improved Unity experience, updated core applications, slight design improvements and a newer kernel. Many users were glad to find the new Previews feature in the Dash that lets them take a sneak peek at files and applications without opening them. Furthermore, a refreshed Nautilus, a revamped Empathy, and the game-changing web-apps feature make Ubuntu 12.10 one of best non-LTS releases ever. To make the most out of this release, make sure that you integrate your Ubuntu box with the best of the web. Once you do that, you'll be able to search your Google Docs (Google Drive) files right from the Dash. Moreover, you can search for photos you uploaded to your Picasa account without opening the browser. To setup online accounts, go to ‘System Settings’ and the look for ‘Online Accounts’. Once you start using Ubuntu, it will start logging all your recently used files so that you'll have a more personalized experience. However, if you're using a public computer, or if you're sharing your device with anyone, the logging becomes quite a bummer. To get rid of this problem, simply go to ‘Settings’, and then look for the option that says ‘Privacy’. Here, you can configure which apps are tracked and which aren't. Also, you can specify which folders you want to be excluded from the search results. Finally, if you want to clear your history, you can do that by using the ‘Forget Activities’ option. The Ubuntu Software Center has been revamped to make it faster and more easy to use. Simply click the orange shopping bag icon on the left and start looking for new applications. Ubuntu One offers 5GB of free online storage to its users. The service lets you sync all your files across various devices including Windows, Mac, and of course Ubuntu. To use it, you have to simply sign up for the service then login to your Ubuntu One account from it. 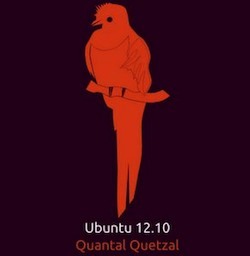 Ubuntu 12.10 comes with a fresh set of mind-blowing community wallpapers. Simply dress up your desktop with the one you like or you can set the wallpapers to auto-rotate from time to time. How do I uninstall bitdefender from my computer using the terminal. I am running Ubuntu 12.10 and the bitdefender has stopped responding.